popcorn wrote: What are those? 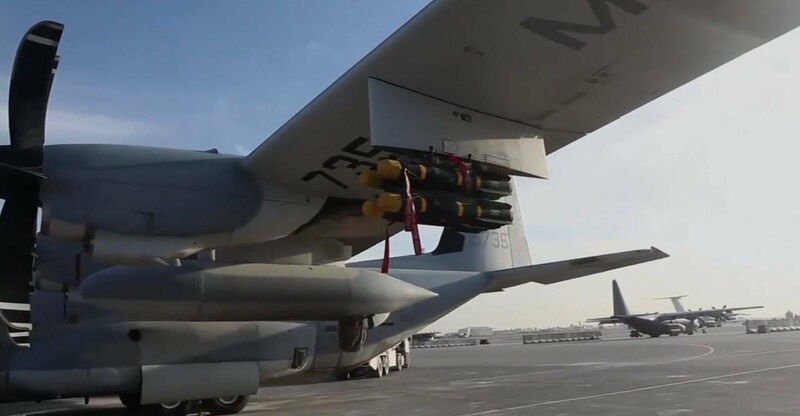 Looks like GBU-39 to me, but I'm not that great at vis ID of munitions. Here is a link to a C-130 dropping Laser SDB1 (yes, there is such an animal). It's a massive pic so I won't embed it. It can do Hellfires too. A Bell spokeswoman confirmed that the V-280 took flight at 2:03 p.m. Central time, although the exact flight duration has not yet been confirmed. I see that they are still blurring the region around the gearbox. I'm surprised they don't put a polymer inner sleeve to completely protect it from the elements and hide what's going on inside the gearbox. WASHINGTON — Bell’s V-280 Valor tilt-rotor demonstrator has now flown in cruise mode, reaching 190 knots. Plans call for integrating Lockheed Martin’s Pilotage Distributed Aperture System (PDAS) on the Valor this year, Bell executives said. 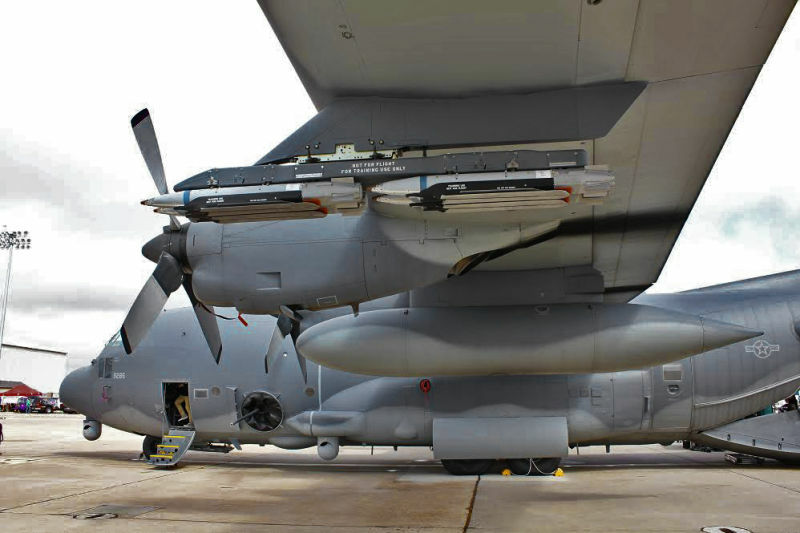 Comparable to the electro-optical DAS system that Northrop Grumman supplies on the Lockheed Martin F-35 Lightning II fighter, the PDAS will provide pilots and crew with a 360-deg. spherical view outside the aircraft, supporting situational awareness, target tracking, threat detection and degraded visual environment operations, said Paul Wilson, V-280 chief engineer. An odd thought just popped into my head: would it possible to have the door guns lock into a forward firing position for the pilot to have the option to use when the aircraft is going too fast to have its doors open? If so, would that ever be useful? count_to_10 wrote: An odd thought just popped into my head: would it possible to have the door guns lock into a forward firing position for the pilot to have the option to use when the aircraft is going too fast to have its doors open? If so, would that ever be useful? It would be complicated, especially regarding feed issues and aiming, and not of that much value in a transport aircraft. Don't want to playing fighter with a load of troops! also the question of when and how quick to move the guns from one role to another. The attack version has the gun under the nose. long article best read there, but let me tease the stealth version. V-280 has now flown @ 250 knots and demonstrated 4,500 fpm climb.